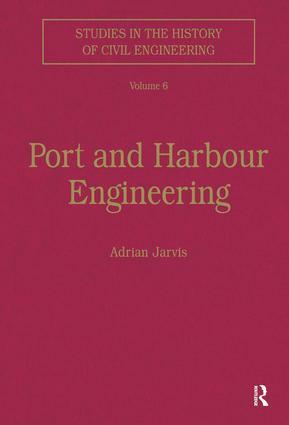 During the 19th century, the engineering of ports and harbours became a large and specialised branch of the profession. This development began in ports in physically difficult locations and may be particularly identified with the growth of the Port of Liverpool. Stimulated by the arrival of ever-larger steamships and the heavy investment in port facilities that they demanded, it spread around much of the world. The opening papers give examples of what could be achieved in antiquity; the following ones set out the advances in design and technology from 1700 to the start of this century - and note some of the failures and recurrent problems. They also illustrate the critical importance of political and economic factors in determining what the engineers achieved. Contents: Introduction; The development of harbour and dock engineering, C. Kirkpatrick; Presidential address, Sir Leopold Halliday Saville, K.C.B. (President ICE, 1940-41) Do docks make trade? : the case of the port of Great Grimsby, G. Jackson; The engineers of Sunderland harbour, 1718-1817, A.W. Skempton; The construction of Ramsgate Harbour, R.B. Matkin; Thomas Steers, M. Clarke; The engineering history of Hull’s earliest docks, M.W. Baldwin; Joseph Whidbey and the building of the Plymouth breakwater, J. Naish; G.P. Bidder at the London Dock extension works, 1826-28, E.F. Clark; Building the Millwall Docks, P. Guillery; Nineteenth-century engineers in the port of Bristol, R.A. Buchanan; The improvement of the River Tyne, 1815-1914, R.W. Rennison; G.F. Lyster and the role of the dock engineer, 1861-97, A. Jarvis; Beyond the river wall: the attack on the Mersey Bar,1890-1923 A. Jarvis; The first harbour works at Port Natal: the role of John Milne from 1849 to 1857, L. Twyman; Imperial ports and the modern world economy: the case of the Indian Ocean, F. Broeze, P. Reeves and K. McPherson; The development of the port of Fremantle, Australia’s western gateway, M.T. Tull; Index.